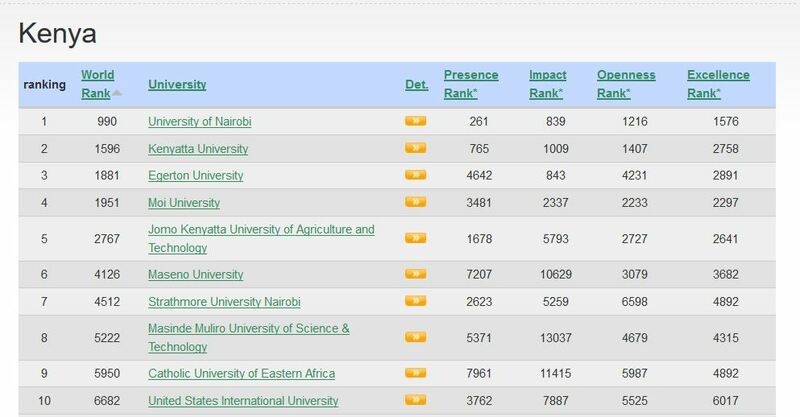 2019 Webometrics Kenyan University and Colleges Rankings have been released. University of Nairobi maintains its top position as the best university in Kenya and East Africa. Below are the rankings. They however say that their rankings are not based on web presence and visibility alone. You can learn more about Webometrics ranking methodology through this page: Methodology Used. Do not miss all our latest updates on ranking of best universities and colleges in Kenya. You guys are doing good job by updating us on what is new in Education Arena.Stay blessed and may the almighty Lord widen your market world wide. It is fantastic work that you people are doing may God bless you all and keep your mind fit this work all the times.